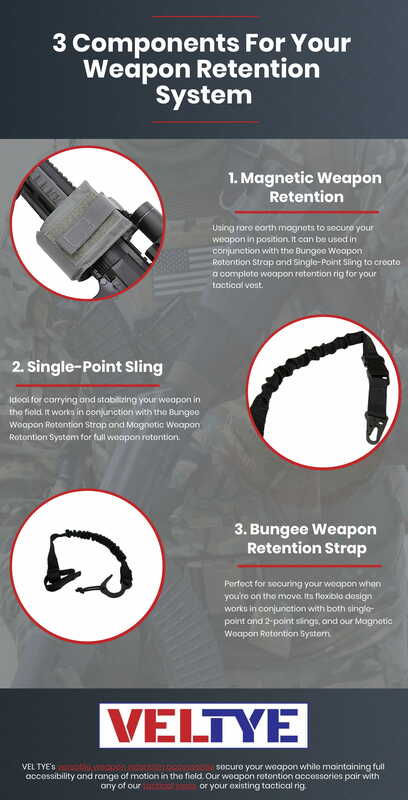 Vel Tye's Weapon retention accessories help secure your weapon while maintaining full range and accessibility in the field. You can use our products separately, combine them, or mix and match. 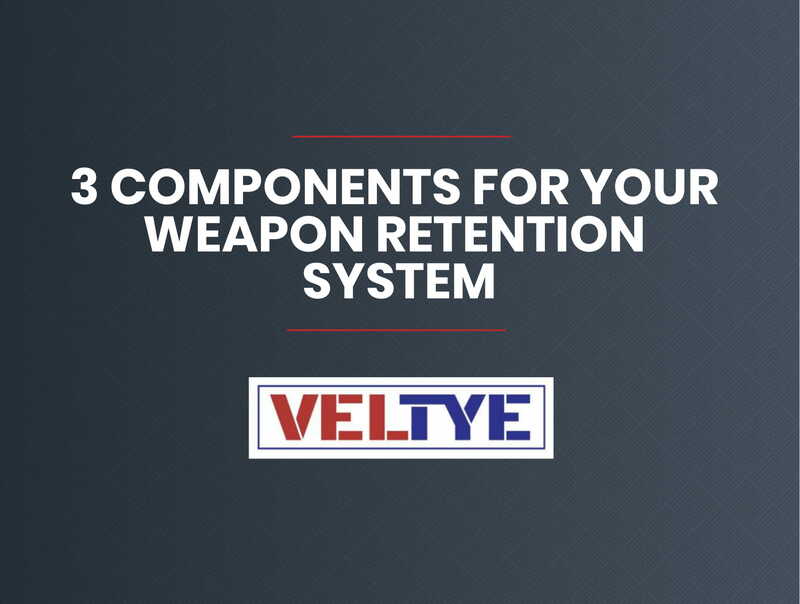 Below are the three Vel Tye components for your weapon retention system. Click the image below to see the full-size infographic.